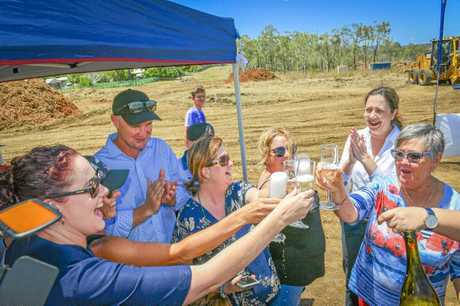 AFTER half a decade of frustration and uncertainty, Calliope parents popped a bottle of champagne to celebrate the official start of construction of the township's $66 million high school yesterday. Families gathered at the Don Cameron Dr site to mark the occasion and welcome back Queensland Premier Annastacia Palaszczuk and Minister for Education Grace Grace. 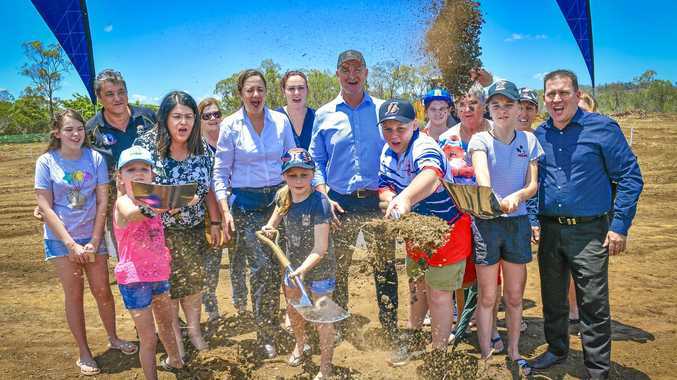 The project is the result of more than five years of community campaigning that started when the land was put up for sale by the then Liberal National Party Queensland Government in 2013. 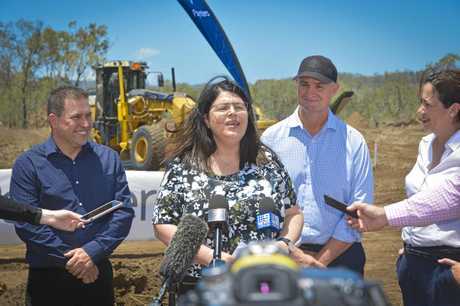 Ms Palaszczuk thanked the campaigners for their efforts and said without it, they would not be turning the first sod. "It was the community that fought to save this land, it was the community who fought to have a high school here," she said. "This is what community action is all about." 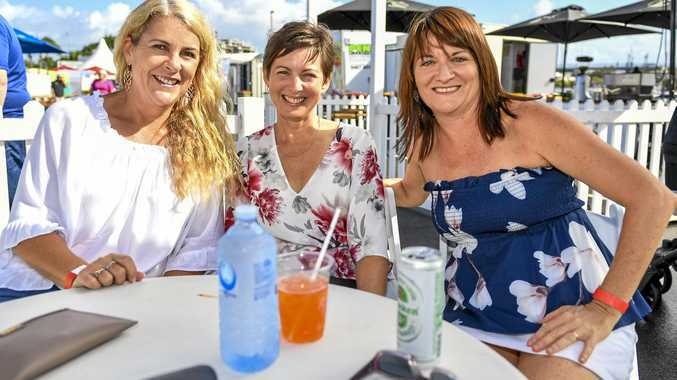 The campaign was led by Calliope mum Lynda Ninness, who had the bottle of champagne on ice when the politicians arrived at the site yesterday. Ms Ninness said with 700 students and counting at Calliope Primary School, a high school was vital for the region. While her children will not be of the age to attend the high school, when it opens for grades 7 and 8 in 2020, she said it was "great" to finally see work begin. Fellow campaigner Michelle Burke said the school would also relieve parents' worries about their children travelling by bus, without seatbelts, along the Bruce Highway to get to school. "It's a huge concern, a few years ago our kids were on the school bus that crashed just out of town ... it's very dangerous," Ms Burke said. She said the campaign was not just for the region's students, but for the whole community. "For more than six years we've been fighting for this school and Lynda Ninness has been the driving force," she said. "Without her this wouldn't have happened."